The air cargo sector continues to be a top target for terrorists. As such, security vigilance remains a top priority. In a recent article in Supply Chain Management Review, Executive Editor Patrick Burnson interviewed Airforwarders Association Executive Director, Brandon Fried, to discuss several of the current issues facing the industry, including the exponentially growing threat of terrorism. TSA is moving toward implementation of a certification program for Explosive Detection Canine (EDC) teams that are owned, operated and trained by private industry. This ultimately permits private industry to use third-party certified canines (3PK9) to meet TSA air cargo screening requirements. MSA Security, the nation’s largest private provider of EDC teams, has more than 500 teams at work, including at air cargo deployments around the globe. MSA’s subject matter experts are working closely with air cargo industry stakeholders to provide meaningful recommendations to guide and expedite TSA third-party program development and implementation. “The proposed TSA program has received genuine interest and support within the industry. With billions and billions of pounds of cargo transported nationwide every day, the terrorist threat exposure is very real for this sector,” said MSA Director, Air Cargo and Aviation, Marc Murphy. A TSA third-party EDC screening program would require testing and certification specific to air cargo screening requirements. This will ensure that all EDC screening of air cargo is conducted by teams that meet TSA rigorous standards, fully and efficiently address federal mandates and protect the nation’s air transportation industry from national security threats. 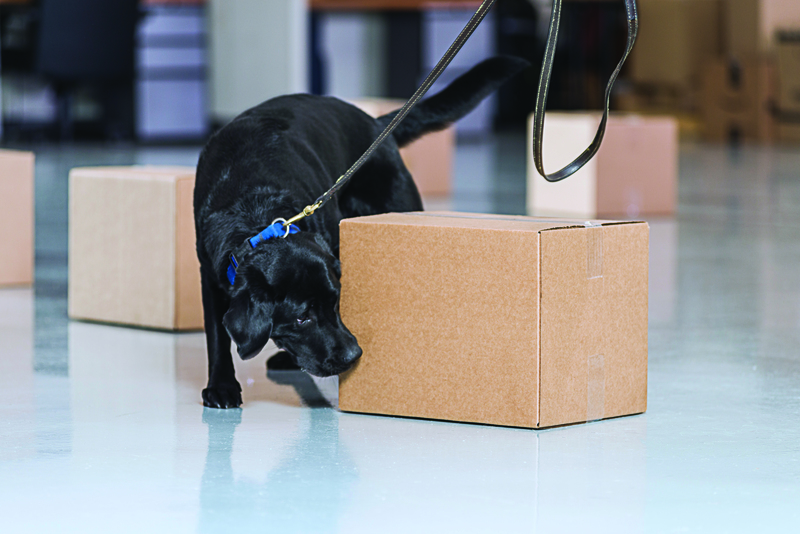 In his discussion with Supply Chain Management Review, Brandon Fried, while acknowledging the value of today’s robust technology as an essential component of cargo screening, touts the efficiency and effectiveness of explosive detection canines. A properly imprinted and trained canine remains the safest, most effective and operationally efficient tool for cargo screening. EDC teams intended for air cargo deployment are trained to quickly assess even the largest areas for potential explosive threats with little operational disruption. “There is no machine that can detect the presence of explosive materials – HME odors included – like a well-trained canine, ensuring the safety of people, operations and enterprise,” said Murphy. Currently, TSA-certified Transportation Security Inspector (TSI) or Law Enforcement EDC teams are approved as a primary screening method for air cargo. The addition of private sector EDC teams, certified to TSA standards, would benefit regulated cargo carriers of all sizes and the TSA. MSA will continue to provide critical support to move the proposed TSA program forward in the interest of increasing value-added resources and strengthening the evolving security requirements for cargo screening in the current threat environment.